The Grow More Experience site in Kinston, NC, has a variety of corn, soybean and cotton trials. Corn herbicide demonstrations, including trials with a pre-emergence application of Acuron® herbicide and post-emergence application of Halex® GT herbicide. Soybean and cotton herbicide demonstrations, including Tavium® plus VaporGrip® Technology herbicide, which is pending registration. Soybean herbicide demonstrations with Boundary® 6.5 EC herbicide and Prefix® herbicide, among others. Corn and soybean hybrid/variety demonstrations to showcase NK® seeds. Fungicide trials that demonstrate plant-health benefits. 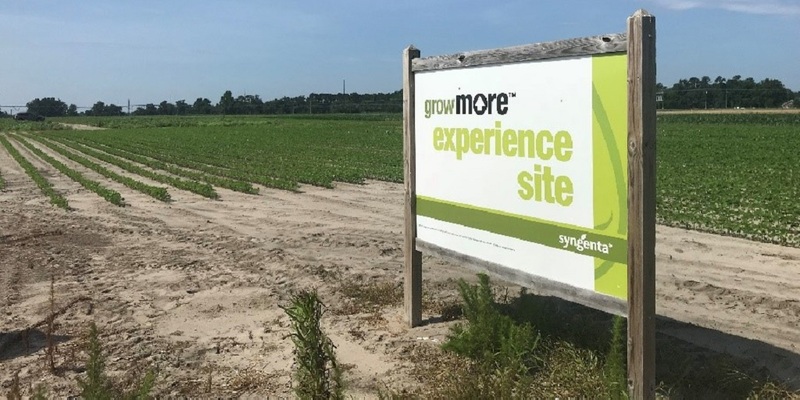 Contact your Syngenta representative to visit a Grow More Experience site near you. For future updates from our Kinston Grow More Experience site, sign up for the Know More, Grow More Digest to receive twice-monthly agronomic email updates pertinent to your area. Tavium® plus VaporGrip® Technology is not currently registered for sale or use in the United States and is not being offered for sale.